TreeServe has invested continuously in capital infrastructure and as of 2014 now operates 4 conveniently located depots based in Horsley Park, Wyong, Terry Hills and Kemps Creek. There are numerous benefits from operating these recycling yards including off road parking and maintenance facilities as well as effective storage, recycling and disposal of large volumes of generated green waste. This also enables crews to respond immediately to all emergency works across out contract areas. TreeServe recycles 100% of green waste generated in an efficient, sustainable and approved method. This is a large 44000m² DA approved facility, which has an existing plant and landscape retail outlet that allows for the sale and distribution of mulch and firewood. The depot also has excellent access throughout the Sydney region and is accessible from major arterial roads including M7 and M4 motorways. This facility includes a weighbridge and loading facilities. 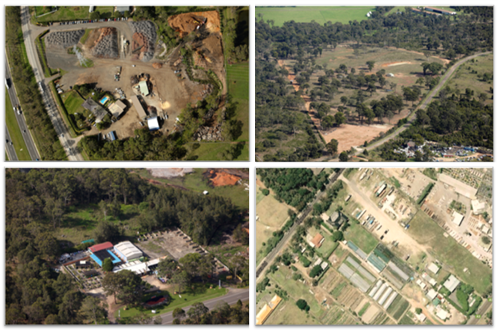 Our Wyong depot is a large 20,000m² DA approved industrial facility, which has an existing plant and landscape retail outlet at its frontage, this allows for the ongoing sale and distribution of mulch and firewood. This is the base for our Central Coast and Hunter operations. Conveniently located at 370 Pacific Highway North Wyong, this depot is centrally located to service all existing contracts in the region. This affords crews to be able to respond to all emergencies in a timely and efficient manner. Our Terry Hills depot is located in the northern suburbs of Sydney and act as a base for crews service this region. This depot opened in 2013 in order to house plant and equipment used on large scale council works in the area to afford crews to respond immediately in the case of an emergency. expects full operational capacity by end of 2015. This facility will include a weighbridge and loading facilities. Moving forward, management is currently exploring the possibility of purchasing additional land around the southern Sydney region and intends to open a 5th depot during the 15/16 period to support existing contracts with local councils.